At the risk of stating the obvious, how can you deliver value to your members if you don’t understand why they joined your membership organisation or association in the first place? Making sure that you deliver value, consistently and sustainably to members is crucial for all membership professionals, especially with the increasing and diversifying demands and expectations of today’s members. MemberWise understands this. That’s why it has worked so hard to create its Member Value and Engagement Hub. If you have not visited this valuable resource, I recommend that you do. Understanding why people joined your organisation or might want to join, will help you to understand what they value and expect from you. Meeting, or ideally exceeding your members’ expectations and demands in turn delivers perceived value for them. They will be more likely to renew and, the holy grail, become advocates of your organisation. 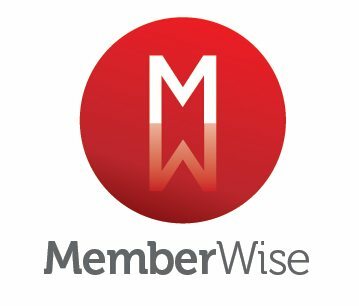 An important MemberWise fact that should be top of mind, is that it costs eight times less to retain an existing member than to recruit a new member. Members who perceive value in your products and services play a key part in helping overcome the perennial challenge for all membership professionals: how to retain existing members and attract new ones. To benefit from the power delivered by a collective voice, a group of like-minded professionals. Delivering services around comprehensive help, support, advice and information and providing networking and career opportunities is no longer enough. Membership professionals must add real value within those services by meeting members’ expectations and demands. For example: what is the perceived value of help, support, advice and information if it’s aimed at all of your members? Protech and MemberWise believe Actual Member Value (AMV) is best delivered to members via relevant, timely, targeted and personalised content. The same applies to networking opportunities. Today’s members want to connect and collaborate with members who they feel are the ‘right fit’ for them. Members also want to understand which other members want to discuss the same professional topics, and how these can be highlighted through your organisation’s collective voice. The key to making information and content personal and relevant to individual members is the ability to segment and then analyse the data you have captured during each and every engagement with them, regardless of whether that engagement is via e-mail, telephone, mail, your member portal or website. Segmented data allows you to personalise all engagement with your members. It enables you to understand vital information such as where they live, their age, their job titles, their specific interests, the conferences they have attended or have booked to attend, the content they have asked for or which they have viewed on your website, the qualifications they hold, their personal preferences, etc. A quick note here, if you are not capturing member data, and therefore are unable to make it work for you as outlined in the previous paragraph, then you have a really big issue to address and overcome before you can even begin to understand how you can deliver value for your members. The ability to progress along a recognised career pathway is undoubtably a key reason why people join membership organisations. Today’s learners, trainees or students, whether studying for academic or professional qualifications or undertaking Continuous Professional Development have demands and expectations of their own. They expect the delivery of education, accreditation and regulatory content to be digital, seamless and paperless. They demand to ‘learn’ where, when and how they want. Your organisation must deliver value for your learners and students by allowing them to access the content they need – from any device, at any time, from anywhere. Organisations must guide them through the five stages of their ‘learner journey’ or ‘student lifecycle’: registration and enrolment, exam management and fulfilment, results management and moderation, results distribution and certification and appeals, awards and further progression. It is only possible to do this by segmenting and analysing the data you capture around each of your students/learners and then providing them with content that exactly matches their student/learner profile and preferences and reflects the stage they have reached within their learning journey. Content which: relates to the next phase of their individual learning journey, delivers assessments of coursework or CPD tasks competed, nudges them to complete coursework or tasks by the required deadline, etc. With an improved recognition of why members joined your organisation, you are better able to understand how to use your member data and successfully meet their current and future demands and expectations by providing a highly personalised and relevant experience – delivering real member value.